Genesis Casino - Claim up to €1000 + 300 Free Spins Bonus Today! Certainly, Genesis Casino is one brand that needs no introduction. It is indeed one of the most renowned gaming platforms in the entire world of online gaming. Even more, Genesis Gaming is a world of its own. They were there where it all started. Likewise, they are still here and would continue to offer one of the best gaming atmospheres to players. Genesis Casino is a product of one of the best operators that is Genesis Gaming. Furthermore, Genesis Gaming enjoys a dual license from the MGA and the UKGC. This makes it legally open to players from the UK and EU including Ireland. So, if you seek a planet of games; a world or unlimited fun and endless possibilities, you just have to find your way back to the very beginning. Furthermore, while the list of games is enormous, they are carefully arranged into different titles. Some of the popular games include Vikings go berserk; Immortal Romance; Book of Dead; Mega Moolah; Treasure Mine; Book of OZ; Fire joker; Starburst; Gonzo’s Quest; Raging Rex; Mystery Joker; Roulette; Blackjack etc. Everywhere you go, whenever you want, Genesis casino is never far away. With their unique mobile gaming atmosphere, the sky is closer than you think. Hence, players can also access the fun from the comfort of their mobile devices anytime. First deposit: At this point, you don’t need any promo code to enjoy a huge 100% bonus. 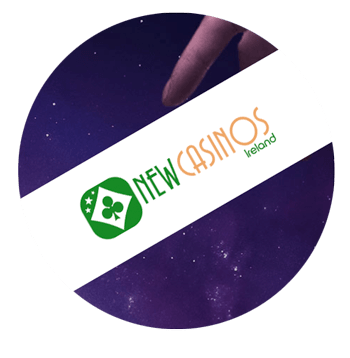 all you have to do is meet the minimum deposit requirement of €10 and you will receive 100% up to €100 plus 300 extra spins on Starburst. Second deposit bonus: All you have to do is use the code WGEN2 and your deposit would be boosted by 50% up to €300. Third deposit bonus: Use the code WGEN3 and you will receive a 25% bonus when you make your third deposit. This bonus is as much as €300. Fourth deposit bonus: Wrap up the welcome party on the fourth day with a chance to earn another €300. Al you have to do is use the code WGEN4. Although the welcome bonus is quite juicy, Genesis Casino would not be complete without offering loyal players something to keep them even longer. Some of the available promotions at Genesis casino include Weekly bonus mission; Sail in space from Spain; Lightspeed Monday and the VIP club. In the end, players who receive any bonus should be prepared to meet the minimum wagering requirement of 40 times before requesting for withdrawal. Also, 300 extra spins sound cool. However, you only have 24 hours from the time of activation to exhaust the extra spins. There is a special page at Genesis casino that is dedicated to payment methods. Hence, if you need some information as regards what is available as well as the key features, it’s all in there. So far, Genesis Casino only offers a few options that include Entropay; Ecopayz; Neteller; Skrill Paysafecard; Maestro; Visa; MasterCard and a few others. There is no cost on any transaction whether deposit or withdrawal. Also, the maximum amount that can be deposited at once is €5000. All payments are processed within a period of 3-7 days depending on the payment method. In summing up Genesis Casino, it would be nice to point out that they have one of the best support team. Players can always get in touch anytime via email and live chat. Also, Genesis Casio has a huge social media presence. Finally, there is no doubt that Genesis Casino is a great place to enjoy some quality gaming experience. If still haven’t had enough, make sure to have a look at the new online casino listing.